Hot topics surrounding PCV driver training were discussed during the second annual National Truck and Bus Driver Trainers Conference. Despite the name there was just as much (if not more) content relevant to the bus and coach industry in the presentations as there was truck. 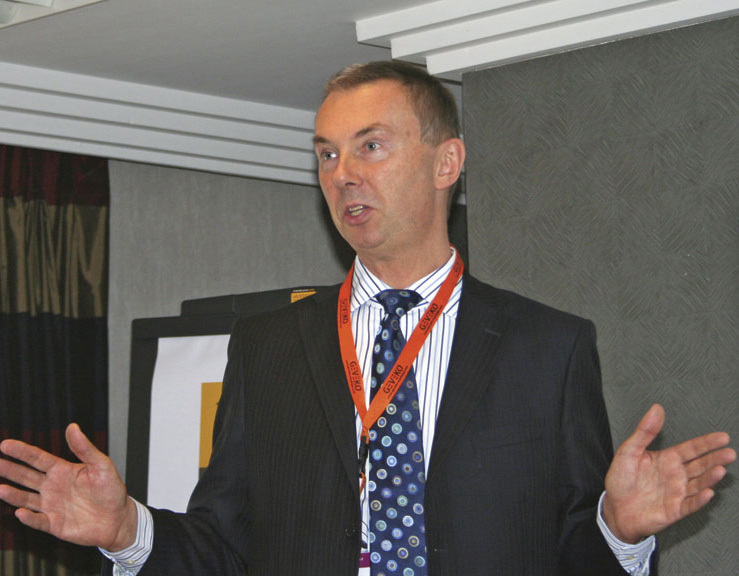 The event was part of the road safety charity, AIRSO’s range of national conferences, held recently at the Hinckley Island Hotel in Leicestershire. 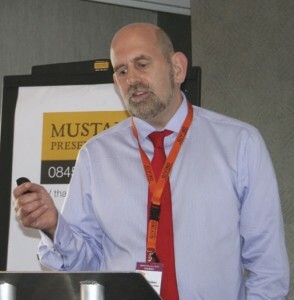 Chris Peat attended and found the information imparted at the event was relevant to anyone involved in operating buses and coaches, not just trainers. 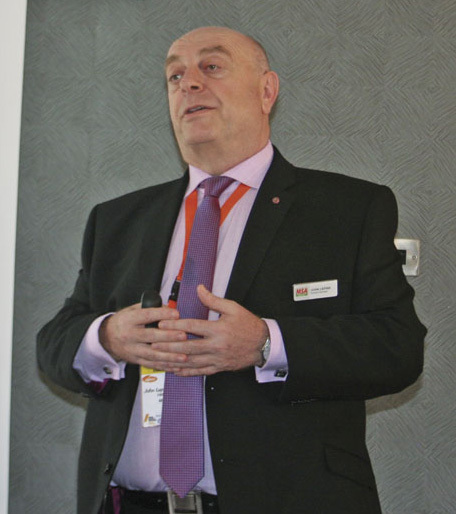 With the conference’s proceedings brought underway by a welcome from Chairman of the National Truck and Bus Driver Trainers Conference (and Head of Operations at Arriva Merseyside), Martin Robinson, first up to speak on the day was Nick Jones, Traffic Commissioner – Wales and West Midlands. He began by questioning whether any of the attendants had read the document on the DfT website outlining Traffic Commissioners’ guidance on their statutory functions. He was unsurprised at the few hands that went up to affirm they had, as ‘not many have read it’ and he suggests it is ‘well worth reading’. He said Traffic Commissioners discern the fitness of an operator or driver to hold a licence without the influence of issues relating to personal circumstances. Not being able to pay the mortgage or feed the kids without it simply does not figure in the decision. Also, double jeopardy does not apply, so an offender can stand in court and before the Traffic Commissioner for the same offence. Nick said some of the most common offences Traffic Commissioners deal with include dangerous driving and tachograph issues. One thing he expects to see more referrals for is speeding, with lorry speed limits set to rise from 40mph to 50mph on single carriageways in around spring 2015. New guidance for Traffic Commissioners statutory functions is to be released soon, announced Nick. This will give the Commissioners a choice of extending certain licences. For instance, if a driver gets a year ban on their driving licence, they would then have to wait another four weeks following getting their car licence back before they will have their PCV licence returned. This will be worked on a sliding scale basis, so for instance a three year ban would mean the driver would have to wait an even longer before their PCV licence is back. Offenders can either accept this extended disqualification or be entitled to a hearing. Nick said he would anticipate the ‘overwhelming majority’ would accept it. Nick also made the audience aware of new impending legislation meaning if there are just ‘trace elements’ of illegal drugs found in a driver’s blood then they would be liable to conviction. He was interested whether this would catch out drivers who have taken amphetamines, a drug perhaps more widely associated with truck drivers rather than bus and coach drivers. One area Nick said was critically important in terms of road safety is CU80 offences – using mobiles behind the wheel. To help reduce these, he believes there needs to be a cultural change, claiming TV is a big culprit in normalising the use of mobiles while driving. It is hard to change this culture, he admits, but not impossible. He gave the example of the popular change of perception with drink driving that started in the 70s, saying something similar needs to happen with mobiles now. He suggests having variable points on a PCV licence for CU80 offences. So it might be three points for car drivers that commit it, but six for bus drivers, in line with the more serious offence of putting multiple passenger lives at risk. He said he has seen evidence of some operators who have sacked drivers caught texting while driving a fully loaded bus, an approach he applauds. Nick cited DVSA figures showing there are 12,000 paper exercises per annum concerning warnings and disqualifications associated with CU80 offences. There are between 2,000 and 2,500 hearings per year. However, he said there are considerably more CU80 offences than these figures represent. Most people who commit this offence only do it once, he claims. Being caught and endorsed puts them off doing it again. ‘If you don’t have a mobile phone policy in your work place, then I have questions,’ said Nick, emphasising the importance of making all drivers clear on the seriousness of CU80 offences. He notified the audience that a general review of the Traffic Commissioners is coming up. This will look into how they are funded, whether they should be under the DVSA or would, for instance, the Ministry of Justice be a better department to allocate them in? Other issues will also be taken into account. ‘I regard this review as a healthy exercise,’ said Nick. Providing an overview in terms of what the DVSA does concerning trucks and buses was Ashley Bateman, Assistant Chief Driving Examiner – DVSA. He started by explaining the merger of VOSA and DSA to create the new organisation, which took place last April. The merger is intended to create an entity that was more flexible and convenient than the two separate bodies previously and would offer the potential to explore and extend in the future. He then outlined what the agency does in terms of improving road safety standards and testing and inspection. Ashley cited some interesting figures. These included that 88,000 PSVs are tested per year, with 80% of these now carried out at ATFs (authorised testing facilities). The organisation provides 9,000 instances of administrative support for O licences for PSV operators per annum and there are 9,000 PSV practical tests every year. Of late one of the most notable changes to DVSA’s regulations in terms of buses and coaches he noted was removing the need for eight forward gear ratios for longer test vehicles (category C). Ashley then went on to go over the aims of the Driver CPC: to improve road safety, save money and raise the profile and professionalism of the industry. 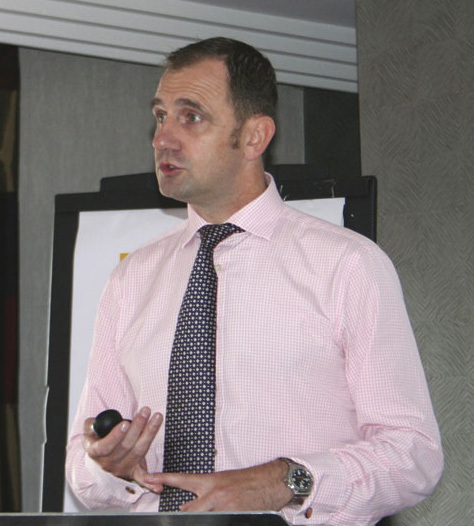 A lot is happening in London currently, according to Glen Davies, Programme Manager Freight and Fleet Programmes from TfL, with roads and the fleets that use them set to be affected by the changing streetscape. Its aim is to make the capital a greener environment and as part of this, it is asking fleets to concentrate on operating as efficiently as possible. Glen said over 80% of police HGV roadside stops identify regulatory infringements and this is something the transport authority is looking to address, not just with trucks but PCVs too. Congestion is a major concern for TfL. As such it is looking to free up more road capacity, it wants operators to take congestion seriously. Road safety is being focused on too, with ambitious plans to cut KSI (killed or seriously injured) incidents by 40%. He noted the work of the Fleet Operators Recognition Scheme (FORS), which provides a quality and performance benchmark for operators in London and offers best practice advice. There has been a tender for this scheme to be nationally recognised. On the subject of training, one course TfL funds for Driver CPC periodic training is Cycle Confident’s JAUPT approved Safe Urban Driving. This consists of classroom tuition and a practical element that sees learners cycling on the roads themselves to get a better insight into what cyclists go through. 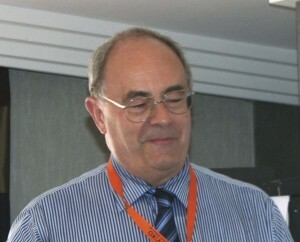 Glen described the course as a ‘real attitude changer’. The course content is freely available and Cycle Confident provides train the trainer sessions on it. 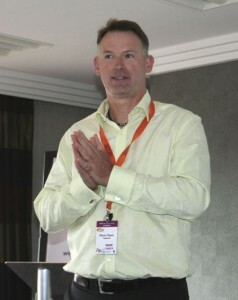 Hands were in the air doing YMCA dance moves at the beginning of the presentation from Simon Payne, Training Director from Tangerine. 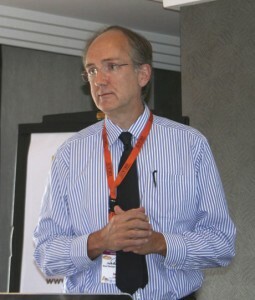 The activity saw Simon stand at the back of the conference suite instructing two attendees positioned at the front to follow his actions. The rest of the audience had to copy the actions of those stood at the front. The idea behind this activity was to ensure everyone attending was part of the learning process by getting them to do something out of the ordinary, involving them and getting inside their minds. He said we learn with pictures more effectively than we do when simply reading or being told something. Again, this is all about getting learners ‘involved’ in what they are studying. He asked the audience whether their students are learning for life, not just to pass their test. Simon emphasised there are four levels of driver training, with the first two levels including vehicle manoeuvring and control and dealing with traffic. The third level considers the context of the journey and how that will affect the drive, whilst the fourth is self reflection. Simon asks are we giving drivers the skills to identify why they are doing what they are doing? Gender and age affect driver behaviour and learning, as do individual differences. He suggested trainers look into the research carried out on this. He also advised to get learners to ‘take responsibility’ for their learning, claiming it helps them gain knowledge and remember it. He would always suggest trainers ‘do things differently’ to affect real change, rather than just ticking boxes. Director of Driving Research at the University of Cranfield, Dr Julie Gandolfi, was part of a team of academics who have carried out a range of research projects she believes are the most comprehensive in the area of bus training. The research was carried out in association with major operators, with one of the major contributors being Arriva. It put scientific proof behind the idea that the three factors of driver’s thinking, emotions and behaviour are linked and affect each other. The Cranfield team was behind the creation of the Bus Driver Risk Index (BDRI) scale, which discriminates between drivers involved in bus crashes and those free of them. It found age is not necessarily a good predictor of whether a driver is likely to crash a bus, experience is more of a factor. However, it also suggests that once a driver has been behind the wheel of a PCV for two years, age does come into play. Number of days absent from work was also associated with bus crashes. Julie explained that people susceptible to stress, a major factor when it comes to how likely they are to have an accident, are more likely to take time off work. Research from Cranfield highlights company safety culture influences the workforce’s likelihood of crashes. Julie said the canteen culture in particular has a massive bearing over safety, often negative, with a ‘you’ve passed your test, now we’ll show you how to really learn to drive’ attitude not uncommon. She said it’s not easy, but if this culture can be adjusted then it could influence better driving. There is not too much wrong with skills training in the industry, it is when the driver is thrown into traffic that problems arise, Julie said. She advised trainers aim to identify prevalent high risk driver behaviours. She advocates a coaching approach, training existing drivers and trying to mitigate risky behaviours. Evaluating the effectiveness of these efforts is important too, to judge whether it is actually working. Arriva North West and Wales Training Manager, Ian Nicholson, showed how his company has promoted safety amongst its drivers, in particular its DriveSafe scheme. DriveSafe is a combination of two successful projects from its St Helens and Chester depots. 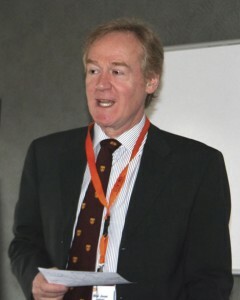 The Chester base held a four day course, with entrants awarded gold, silver or bronze awards based on advanced driver techniques. Between 2007 and 2012 incident rates went down ‘significantly’, with the training thought to have played a role in that. Arriva St Helens’ course had no driving test at the end of it, instead it provided drivers the chance to carry out self criticism of their skills, with the emphasis on developing their abilities. This was also seen to bring incidents down. Created in 2012, DriveSafe combined these two approaches but took a more systematic and advanced approach. Its trainers were given the appropriate training and accreditation to carry it out. It comprises of six modules or ‘systems’: Vehicle safety, forward planning, eco-driving (including how road space is managed and the four second gap), signalling and positioning, state of mind (concentration and coping with stress) and eyesight and scanning techniques. A 55% reduction in ‘at fault’ incidents was recorded by Arriva following the pilot of this training which has now been rolled out across its operations. The scheme is estimated to save between 17% to 43% on insurance costs. Since its introduction, rear end collisions fell to the lowest on record they had ever been. 98% of drivers said they found it useful, with 88% saying their driving had changed because of it. PSV related injuries went down from 971 in 2008 to 681 in 2013. Readers may know Alec Horner as the man behind health & safety and training company, Minimise your Risk, but he is also the CEO of the Association of Trainers. He focused on the Driver CPC during his presentation. Something he believes may be an issue is the pass rate on module two of the initial PCV Driver CPC course, which is only 46%. He said people can take this module ‘ten times and still fail it, especially if English is their second language’. 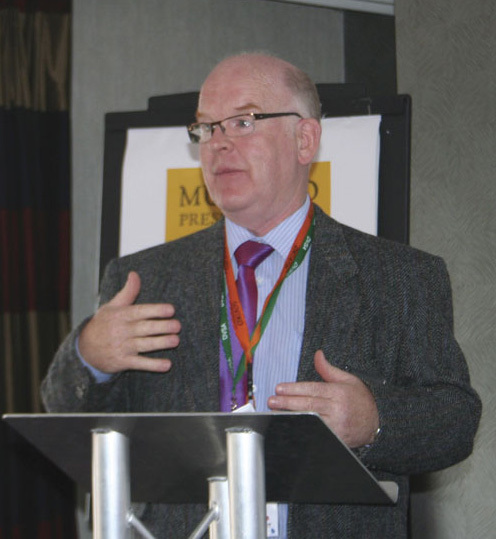 This could be a real problem as he believes staff shortage is already impacting the industry. Operators should ‘wake up to the fact’ they need to do their Driver CPC training once every year rather than all in one go at the last minute, according to Alec. Something else he sees as being problematic is the fact a driver could sit through the same courses time after time to achieve their allotted training. This would be sufficient to grant them their qualification, but does it provide value for money? However, he admits drivers may want to repeat some of them, for instance First Aid certificates tend to run out before five years. Alec gave a figure of over 800,000 people who have been involved with Driver CPC (both HGV and PSV). Over 540,000 Driver Qualification Cards (DQCs) have been issued up till July 2014 through acquired rights, with 80,000 issued through initial training. A new design of DQC was introduced in April this year. Alec reminded the audience that if the card is not carried by drivers then not only will they get penalties, so too will the operator, with 25 points on their Operator Compliance Risk Score (OCRS). So he advises operators to ensure drivers are aware of the need to carry them. There are four areas of Driver CPC courses he suggests should be consulted on: relevance and scope, minimum age, structure of training and quality assurance (what mutual recognition of training should be put in place?). He also suggests modules two and four are reviewed. He believes there are some subjects in Driver CPC he considers ‘off piste’. The UK has a high level of compliance with Driver CPC, according to Alec. He explained it is about ‘refreshing drivers’ skills’ rather than being ‘life changing’ and believes it should have a positive outcome. Director of Policy at the Road Haulage Association (RHA), Jack Semple, said he is ‘fascinated’ with the growing number of foreign drivers being trained and employed in the bus and coach industry. He said Driver CPC trainers were as unpopular as the ‘politicians who brought in the CPC in the first place’. However, he notes attitudes have started to change. Looking to the future, he wants to see Driver CPC evolve from a refresher course to genuine ‘continued professional development’. Areas for improvement include bolstering the initial modules in an effort to encourage innovation. A constructive approach from drivers, one where they help guide the contents of training, must be earned by trainers not expected, he claims. His advice to employers is to look for value for money and relevance when choosing courses. Smaller firms, he believes, have not been as well catered for with Driver CPC, leading him to encourage courses that have the breadth and quality to apply to all operators. Jack does not think the training industry has sold the benefits of Driver CPC as well as it could. However, he claims it has not been easy, with trainers on their ‘back foot’ when it was introduced. He launched a competition at the conference, with a prize of £500 to the training organisation judged to be best at selling ‘value added’ to the customer with its Driver CPC courses. Promoting the help the Motor Schools Association of Great Britain (MSA) can provide driver trainers was its General Manager, John Lepine. The organisation uses social media and print media to keep its members up to date with matters of interest to them. Its services include £5m Professional Indemnity and £10m Third Party Liability insurance for driving instructors. It is consulted by the DVLA and DVSA, as well as working with People 1st and a variety of other industry bodies. The final two speakers were both solicitors from Rothera Dowson, Anton Balkitis and Lucy Whittaker. Anton ran down his practice’s transport specialisations. Representatives from the company regularly defend operators and professional drivers in relation to a variety of prosecutions. They appear before courts and Traffic Commissioners, as well as assisting with police and DVSA investigations. He suggested the audience visit its website and weekly blog (www.keepmeontheroad.com) for more information. 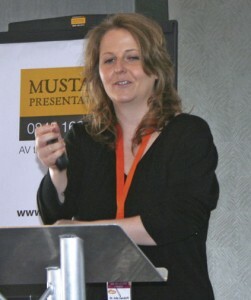 Lucy spoke on the importance of keeping tachograph records correct and compliant. She says there is a ‘but everyone does it’ attitude to false tachograph records that exists in the industry. She said it is simply not the case everyone does it and even so, it does not make it excusable. She reminded the audience that the responsibility for it falls on the driver. She says the relationship between operator and driver should be similar to a ‘teenager/parent’ scenario, where the driver has some measure of independence, but the operator should ‘be there to ensure they are complying’. She gave the example of a driver the police had caught with missing mileage records. He was in his 60s and had been in the industry for some time and had never fallen foul of the law before. Lucy was told he wept ‘inconsolably’ when he was sent to prison for four years. Drivers must be made aware of the consequences of incorrect tachograph records, she reiterated. As well as the presentations, there was also a small trade exhibition. Of interest was Just Fleet, whose Account Director, James Lambert, said he is keen to do more business in the bus and coach sector. 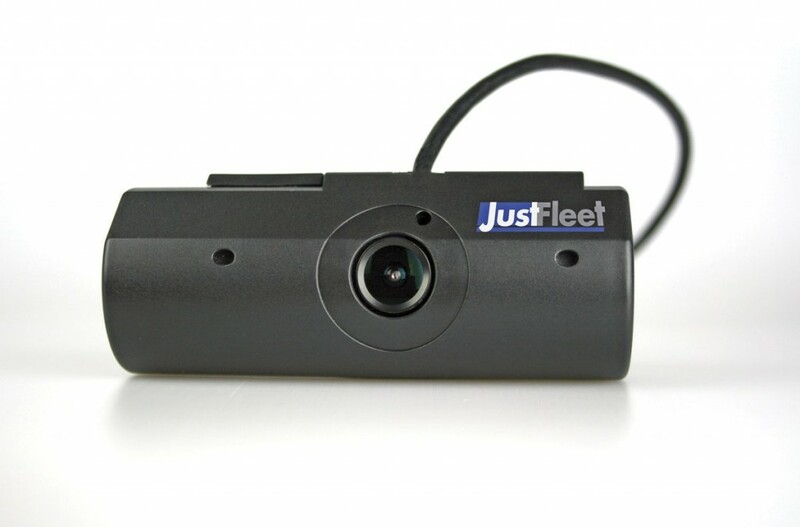 The company is thought to be the UK’s first dedicated motor fleet insurance broker where every vehicle is fitted with a 3D front facing accident camera to help clients reduce long term exposure to vehicle accidents, crash for cash and exaggerated claims. Vision Techniques was another exhibitor, showing examples of its vehicle cameras, recording and detection systems. It provides its CrashCAM range of dashboard cameras, which offer GPS tagged, HD quality footage, recorded onto removable SD cards, with prices ranging from £69.